Beyoncé is donating $100,000 to four historically black colleges and universities following her incredible Coachella performance that paid tribute to HBCUs. The artist announced her plans to donate $25,000 each to Tuskegee University, Bethune-Cookman University, Xavier University of Louisiana, and Wilberforce University as part of the newly established Homecoming Scholars Award Program through her BeyGOOD initiative. One qualified winner from each school will receive $25,000 for the 2018-2019 academic year for study in various fields, including literature, creative arts, African-American studies, science, education, business, communications, social sciences, computer science, and engineering. Scholarship applicants must have a 3.5 GPA or higher, and the universities will choose the winners this Summer. 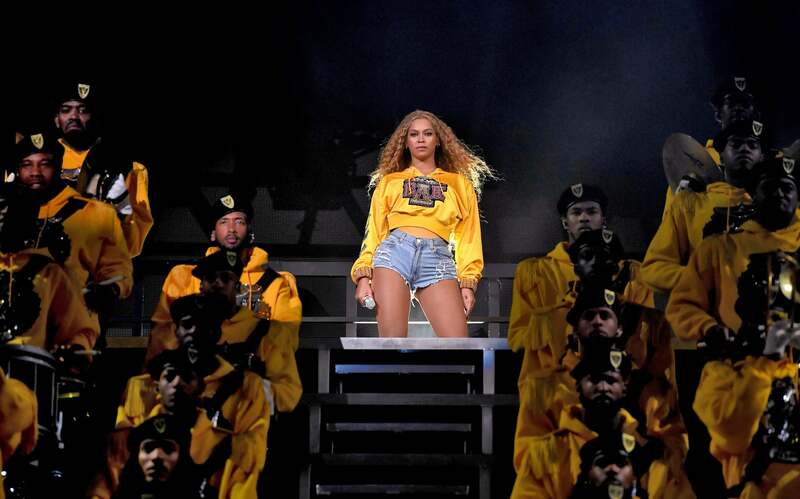 Not only did Beyoncé’s homecoming-themed Coachella performance delight festival attendees with a wide range of favorites, including “Freedom,” “Crazy in Love,” and “Sorry” (plus a highly anticipated Destiny’s Child reunion), but the two-hour set also spotlighted HBCU traditions like step choreography. Beyoncé made history as the first black female artist to headline Coachella.